We display the last time the reports were generated and when email templates were used. For email templates the count includes only non-automated uses. This will help you highlight the reports and email templates that are infrequently (or never) used. 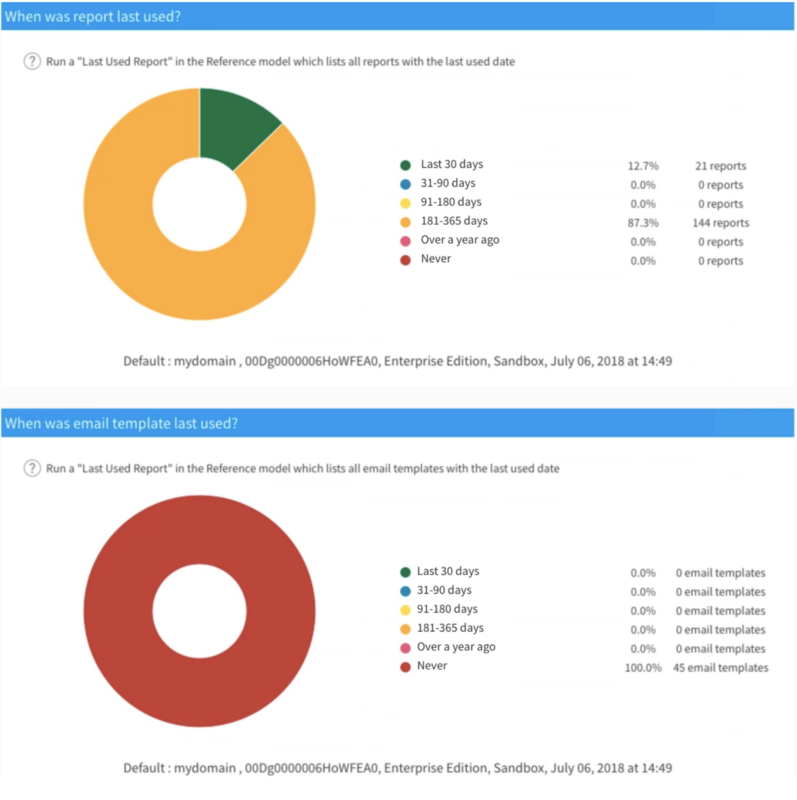 In the Org Model you can run the "Last used" report which will list every report and email template, and the last time the report was generated or an email template used. Keep in mind that because of how Salesforce data is structured the last used time for email templates only includes manual uses and not automated actions.